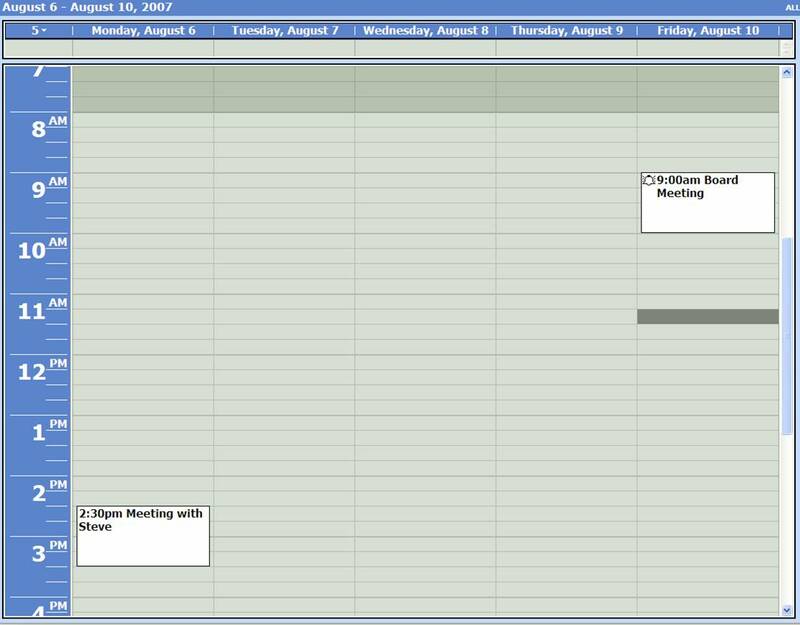 Many professionals only maintain lists of items to do, and don’t actually schedule anything other than appointments into their calendars. In the language of 2Time, they may be Green Belts at the skill of Listing, but Yellow Belts at the skill of Scheduling. A typical professional’s schedule is below – let’s say his name is “Sam”. He is attending both meetings with Bob, his boss. These are pretty basic appointments that one has with oneself. Incidentally, I have noticed that there is no word in the English language for “an appointment with oneself”. At different times in this blog, I have used different words to describe the whole genre of scheduled activities, including both appointments with others as well as oneself. In this post, I’ll use the word “engagement”. Listing is one of the essential practices of the 2Time Management system, especially for users above the Novice or White Belt level. 2:10 p.m. – 2:20 p.m. Monday, August 10th. Pay water bill and so on. Next Activity List: a list of all items that are ready to be executed immediately, and are on the list waiting for a scheduled time to be used. Someday List: a list of all items for which there is an interest in executing someday, but not immediately.